Rockland Clergy for Social Justice includes religious leaders from dozens of local congregations who are calling for state intervention in the divided East Ramapo school district, saying strong leadership by Gov. Andrew Cuomo is required to fix a system that disadvantages thousands of children. Several members of Rockland Clergy for Social Justice appeared on Radio Station WRCR on May 13th, during their community news hour for a discussion of the East Ramapo schools situation. Richard Gandon, host, was very empathetic and supportive of the efforts to support East Ramapo public school children. Click here for Rabbi Ari Hart’s response to a Jewish Week Opinion written by Rabbi Avi Shafran, Director of Public Affairs at Agudath Israel. 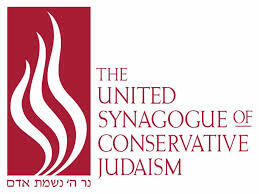 Rabbi Hart, co-founder of Uri L’Tzedek, is a member of Rockland Clergy for Social Justice. This is Rabbi Hart’s response to Rabbi Shafran’s criticism of Uri L’Tzedek’s involvement in working to heal East Ramapo’s Public School conflict. 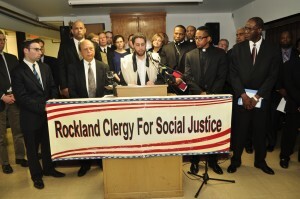 Click here for a background into the Rockland Clergy for Social Justice. 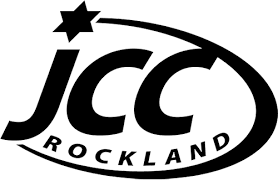 Click here for a summary of Rockland Clergy for Social Justice’s meeting with New York State leaders in Albany on April 30, 2014. Click here for Rabbi Kurland’s sermon from May 3, 2014 (Parshat Emor) where he addresses this issue. Nanuet Hebrew Center’s Rabbi Paul Kurland is a participant in Rockland Clergy for Social Justice.